Bikepacking is a new name for an old sport: multi-day mountain biking or dirt-road touring with an emphasis on travelling light and seeking adventurous routes. Ever since the late 1800’s intrepid cyclists have strapped overnight gear onto bikes and headed into the wilderness. The mountain biking boom of the 1990s opened up a new type of bike adventure as fat tyres, better brakes and stronger frames heralded new possibilities for adventure: four wheel drive tracks, single track and rough terrain could now be tackled with confidence and a lot more comfort. As mountain biking has become increasingly specialised whole new categories of bikes and products have emerged, including bike packing specific bike luggage – reducing reliance on racks and panniers, and ‘plus’ bikes with wider rims and even fatter tyres. Technology too has broadened the scope of adventure: digital mapping, GPS and the availability of trail information has made rides easier to find and new adventures easier to plan for. Bikepacking can be thought of as cycle touring and hiking rolled together – a kind of hiking by bike, although occasionally it’s more of the hiking and less of the biking! Requisite skills – as with many outdoor pursuits – are self reliance, navigation experience and backcountry savvy, but also bike maintenance. No other mode of transport is as energy efficient as the bicycle, which creates the potential for a lot of ground to be covered – and with a huge amount of fun and satisfaction. 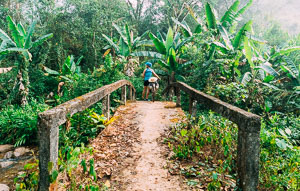 Think overnight mountain biking with an emphasis on rough tracks and singletrack: two- to five days on the bike (but can be longer), carrying the bare minimum of equipment to enable more comfortable travel over tough terrain and/or steep or long climbs. Depending on how technical the riding is either a 27.5+ or full suspension bike may be most suitable, but rides can be tackled on any decent mountain bike. Classic New Zealand rides in this category are Heaphy Track, Old Ghost Road and the Great Southern Brevet event. 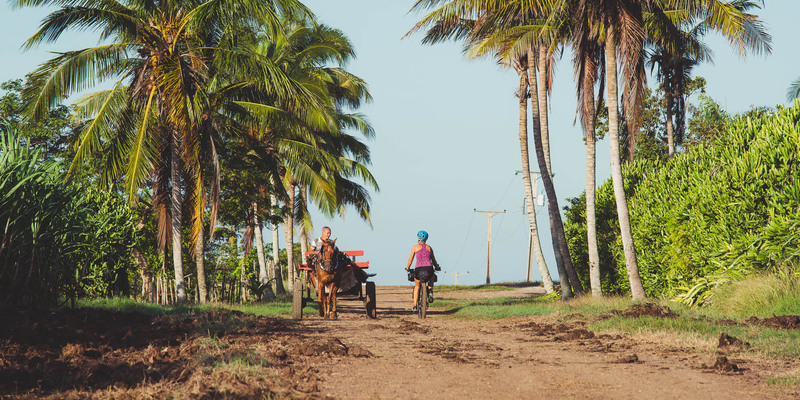 This very broad category includes multi-day and longer tours where the riding style is generally less technical and the emphasis is closer to cycle touring, but with a bike and system suited to the rigours of gravel, unformed roads and unpaved cycle trails. Any reliable mountain bike will do for this style of riding, but 27.5 inch and 29 inch are the most popular wheel sizes. Classic New Zealand rides of this category include the Kiwi Brevet event and Tour Aotearoa. The recent introduction of bikepacking luggage is slowly redefining the typical set up for long distance touring and many riders are now opting for a system that’s sometimes a hybrid of both bike packing luggage and traditional rack and panniers. This enables a greater diversity of terrain to be tackled and increases food and water capacity, while keeping weight down and bike handling and clearance appropriate for rough tracks. Any reliable mountain bike will do for a bikepacking trip and bike packing luggage will fit older style bikes no problem. A suspension fork will take the shock out of a rough road and improve your traction and control and these are ideal for shorter rides, but for long distance bike travel they are generally less desirable as the fork movement reduces your efficiency and it’s an extra moving part to wear out. For some rides, as above, a full suspension bike might be ideal. The rule of thumb is to fit the biggest tyres you can to your bike, while maintaining at least a few millimetres of clearance for mud. For all-round bikepacking, the small speed gain a narrow tyre might give you on a smooth road will never outweigh the comfort and traction gained overall by a large tyre. Aim for tyres of no less than 2 inches, (ideally 2.35–2.4 inches) with a fast rolling tread for most kinds of riding. If you’re interested in rougher and more technical riding consider a tyre with beefy, trail riding, tread and heavier sidewalls. The benefits of running your tyres tubeless can’t be overstated. This system replaces the inner tube with an air sealed rim and sealant liquid which combats most small punctures. The advantages of this system are that you can run lower tyre pressures for greater comfort and traction without the risk of snakebite punctures. Additionally, most minor punctures will self heal. Well set up tubeless wheels can last thousands of kilometres without intervention and I believe they’ll become the new standard for touring. Traditionally mountain bike wheels have been 26 inch diameter, but more recently the industry has settled on 27.5 inch as being the optimal size for technical handling and smooth rolling. If you are buying a new, all round bike this is the size to buy. 29 inch is also a very popular size for long distance bike packing and touring but is less suited to really technical riding. Shorter people may find 29 inch wheels unwieldy and might suit 27.5 or even 26 inch better, and conversely tall riders might prefer 29 inch. ‘Plus’ sized bikes have ushered in even greater possibilities for adventurous riders. These comprise a wider rim and greater frame clearance, allowing tyres of up to 3 inches width to be used. Both 29 and 27.5 wheels are available in ‘plus’ sizes but 27.5 is the optimal size for all round riding and has emerged as the industry standard, with the widest range of tyre choices. Running tyres between 2.5 and 3 inches reduces the need for a suspension fork (and hence the likelihood of breakages), increases traction and comfort massively and opens up otherwise unrideable terrain such as sand, snow and very loose or rocky trails. At the extreme of the wheel size spectrum is the ‘fat bike’, running tyres of 4 inches plus. While fat bikes excel on sand, snow and really gnarly terrain, they’re less suitable for all round riding due to the extra weight and drag of the tyres. Modern mid-level, or better, bike components are suitable for bike packing. Disc brakes are best as these give tons of braking power in all conditions without wearing out your rim. For long distance tours, mechanical, rather than hydraulic are worth considering for ease of field maintenance. Comfortable grips make a difference for long days on the bike: consider anatomic grips that spread the load over more of your hand. Saddle choice is the most important: make sure your saddle is comfortable on some shorter rides before heading away for a whole weekend. Saddle trouble is the number one factor that can turn a weekend of fun into a weekend of pain. Many new bikes come with 1×11 drivetrains, which are great for simplicity, but may limit your easiest climbing gear. Some riders will benefit from two chainrings up front as this gives a greater range of gears. Consider the type of riding you want to do and how much weight you might carry. An undergeared bike can make climbing – an essential part of fun and adventurous biking – miserable. Life on a bike is more fun if you still have the ability to spin the gears on hard climbs or when energy flags at the end of a long day. Dedicated bike packing luggage has revolutionised overnight mountain bike rides. The benefits of ‘soft’ bike luggage are threefold: it distributes your load over the bike, improving handling; it gives ample clearance for scrub, deep ruts and large rocks, and it doesn’t rattle like panniers often do. A framebag, handlebar harness and an oversized seat bag allow plenty of storage for a lightweight trip of up to a few days. If you already own a rear rack, a framebag and handlebar harness are a good first purchase; while the rear rack can carry a bundle in a dry bag. Top tube bags or feedbags (which mount on the handlebar) are ideal for snacks-on-the-go, multi tools and items you want to access quickly. ‘Pack light’ is the mantra for a bikepacking adventure. Steep hills are no fun on a heavy bike and if you have to get off and push or carry your bike over obstacles, you’ll be a lot more maneuverable without extra weight. The bike will handle better too. Some people opt to not carry a stove at all, but if you do carry one consider a Jet Boil type unit, alcohol stove or any light stove/pot combination. Light sleeping bags and tents also help and there are many ultralight options around today. Just a fly or bivvy bag might suffice if you’re not in a bug-prone area. Planning your ride around available accommodation can mean leaving the tent at home too: using sheltered places to bivouac, huts and hostels. Duct tape and a few beefy cable ties are handy items for field repairs. The handlebar harness is the slowest thing to unpack and hardest to access, so it’s a good place for your tent, sleeping bag and maybe a down jacket. Your underseat bag is ideal for stove, food and extra clothing. Framebags are perfect for a water bladder, lunch items, spare tube, bike lubricant and bike pump. Some riders like to wear a small backpack for more technical two- to three-day rides – it’s an easy way to carry extra water, camera and other essentials and reduces your bike weight slightly. As with any outdoor adventure some forethought regarding your route will go a long way towards ensuring you have a good time: consider prevailing winds, overnight locations, shelter and river crossings. It’s a good idea to conceive a Plan B in case you don’t make goals on the ride or get hampered by bad weather or head winds. Many bikepackers eschew paper maps in favour of devices such as handheld GPS or smartphones preloaded with high resolution offline maps. This is common practice, but it’s a good idea to have a backup map in the party; either by way of another device loaded with maps or a paper map. Websites such as Bikepacking.com, Ride With GPS and Google My Maps allow downloading of GPX files of many rides, or you can plan and export your own and these can be uploaded to your device for worry free navigation on your route. You’ll have a clear idea of overall distances and elevations using this method which helps planning and reduces surprises. Smartphones are fairly battery hungry compared to dedicated GPS units, so carry a spare battery and/or power pack, use flight mode (the GPS will still work) and lower the screen brightness. Mounting your GPS/smartphone on the handlebar will allow smooth navigation on the ride and no missed turns. A version of this article was originally published in Wilderness Magazine. Great tips Mark. I heard they are building a new Great Walk in New Zealand that will be open to bikes. All the more reason to get my bike down there sooner than later. That’s right Matthew – on the West Coast of the South Island. Should be a classic – especially linked with the West Coast Wilderness Trail. Good to have a way to stay off the highway and more in the forest down there.